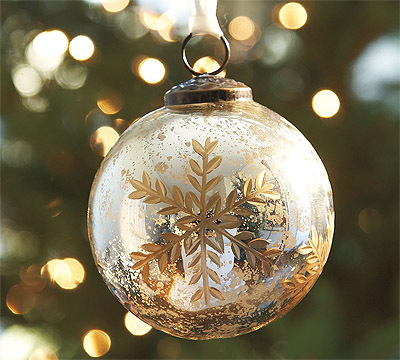 Mercury glass items have a very distinctive character and can complement your interior not only during Christmas. 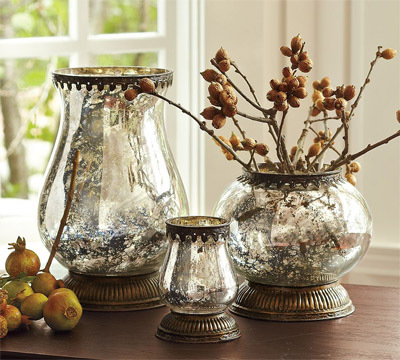 The roughness and some reflective qualities of mercury glass add somewhat Mid-evil character to the items and when used strategically create a certain charm. Did you know that “Mercury Glass” was invented in the nineteenth century as a decorative substitute for more expensive silver tableware. 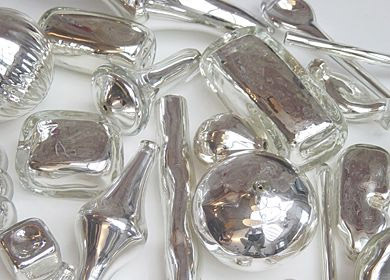 Traditional Mercury Glass has a thin glass wall. 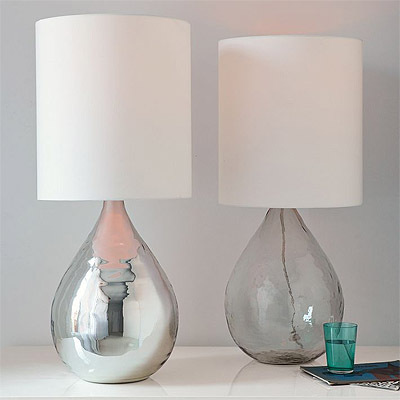 More contemporary artists such as Suzan Etkin Enterprises creates hand blown silvered glass with thick walls and deposits a film of pure silver into the vessel interior. “The thick curving wall gives the glass the appearance of liquid metal, transforming a 19th century technology into a 21st century material with unmatched light reflection and refraction properties.” Transmaterial.net notes. 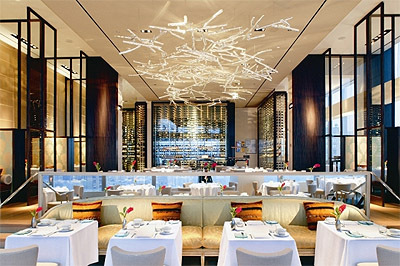 Glass light fixtures can be filled with anti-shatter foam or resin, and Mercury glass elements can be reinforced with steel. 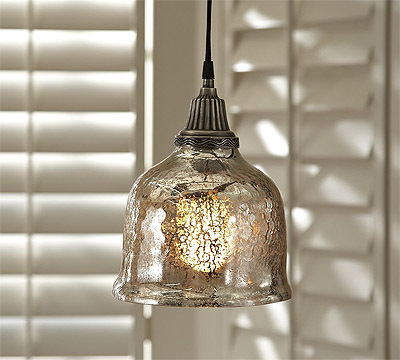 West Elm’s mercury glass lamp. I see these adorable shiny items being used in restaurant design, bar design, coffee shop, design, jewelry store design, or even in hotels. 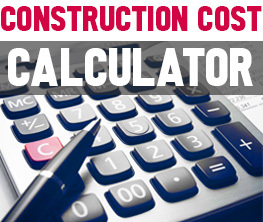 To ask us questions about your project or to get a free consultation from Mindful Design Consulting, click HERE. Also, take a look at “Branding By Interior” e-book, the only book written on this subject at this time. It brings insight on how you can turn your business into a market-dominating competitor by using some of the mentioned above cognitive responses.